Al Jazeera Balkans is a TV station in Sarajevo, Bosnia-Herzegovina covering entertainment programs and local news. Launched in late 2011, Al Jazeera Balkans broadcasts news and current event programming across the Balkans region. 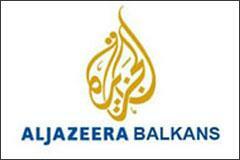 Al Jazeera Balkans is part of the Al Jazeera network headquartered out of Qatar. This TV station is owned by The Emir of Qatar. The web site is presented in the Bosnian language.